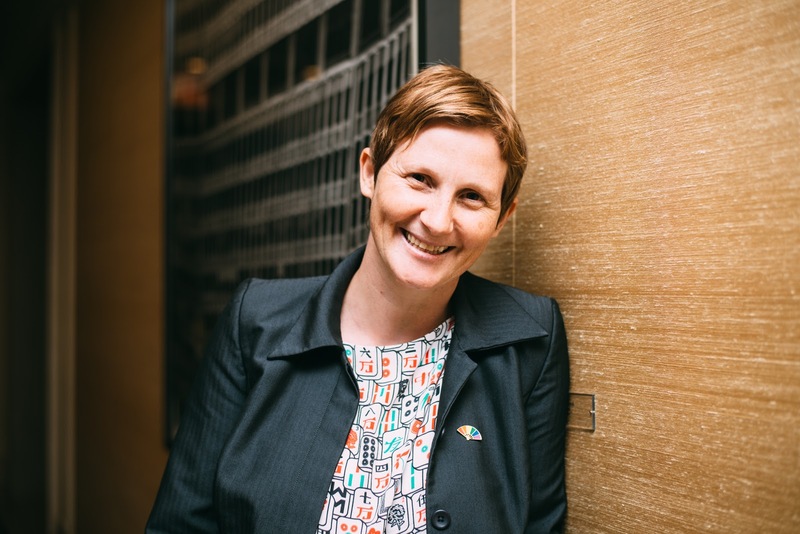 If there is a LGBT activist & leader in Hong-Kong who you should know about, it’s Bess Hepworth. 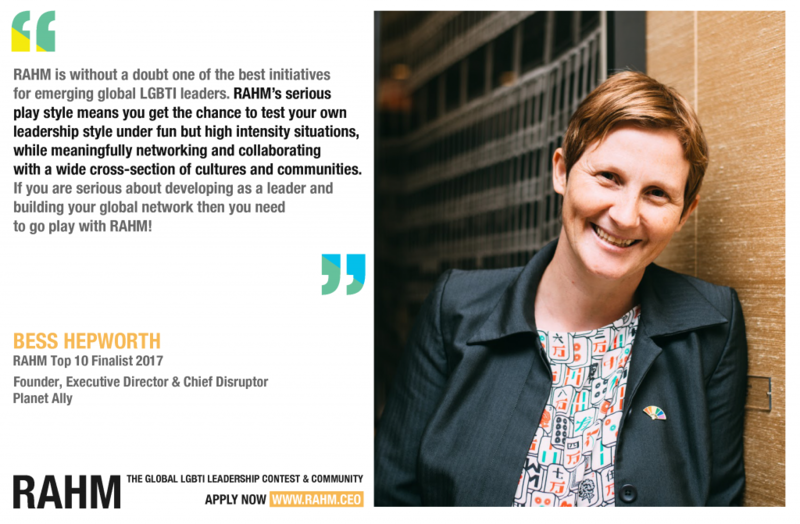 She is one of the Top10 Finalists of the RAHM Contest 2017 and she gave this inspiring interview to the RAHM Magazine about her experiences as LGBT NGO’s leader and as Mum of a (wonderful) rainbow-family in Hong-Kong. Let’s resume this interview in one sentence : yes, she can ! Théo, Project Leader of RAHM: Hello Bess, you came from Hong-Kong to Berlin to participate to the RAHM Contest and you ended up in the TOP 10 Finalists of RAHM 2017. It has been worth it, congratulations! You turned out to be a highly energising, enthusiastic and committed person. Is positive energy the key to leadership success? Théo: In Asia, the situation for LGBT people is mostly difficult. Do you personally face discrimination in Hong-Kong because of your (magnificent) Rainbow Family? Can you tell us about daily life in Hong-Kong as an LGBT person? Bess: Hong Kong is still yet to adopt any anti-discrimination protective legislation on the grounds of sexual orientation and gender identity so that has huge implications for daily life. Recent studies reveal that Hong Kong’s society is supportive of such changes, but the government is as yet not willing to acknowledge these societal shifts. It wasn’t until we created our family that we began to experience the real impact of institutionalised discrimination. We have two young sons and we both gave birth (2 years apart) and neither of us are acknowledged as a parent on the other’s birth certificate which has wider implications for medical and travel. My wife is a pilot and so I travel with the kids a lot on my own, our youngest son is deaf-blind and so I travel monthly to Australia for his appointments. Each time I travel have to carry a document that gives me permission to travel with him, that is frustrating and demoralising but on the whole our issues pale in comparison to local Chinese LGBTQI people who face far more cultural pressures, stigma and discriminatory barriers to living freely. Living as a Caucasian in Asia is constant reminder of my privilege and it’s not something I take for granted as a parent or an activist. Théo: You manage the Asia Pacific Rainbow Family Forum and the NGO Planet Ally. What are the main issues your organisation and the asian society face? Bess: Rainbow families in the Asia-Pacific face a wide-range of issues from lack of legislative protections, fear of losing their children, through to ambiguous domestic and trans-national surrogacy laws. It is becoming increasing important to future proof rainbow families in the region from the emerging and harmful marriage equality debates. We ran our first Asia-Pacific Rainbow Families Forum earlier this year on a zero budget and powered through because it was too important not to. Fortunately we found some incredible Pro bono partners, but moving forward we need to secure sustainable funding to ensure we remain progressive and impactful. Planet Ally is a new NGO in the Asia-Pacific region, and due to shrinking NGO funding spaces globally, we are working hard to creatively and innovatively build relationships and find partners who resonate with our vision. Recently a mentor described me as ‘Gay Robin Hood’ and I think that’s a nice way to rationale my modus operandi: I am driven to find ways to leverage my privilege and influence; to find resources, help mobilise communities or to elevate voices until they themselves have a space at the table. Théo: Can you name an Asian LGBT leader the Western world should know about? Bess: There are literally countless human rights defenders in Asia that I am in awe of and who energise and inspire me every day through their courage and resilience. I know RAHM featured Gigi Chao, who is a phenomenal out women global leader and someone I’m proud to advise with at the UN level in the region, but if I had to choose a grassroots leader who is bridging the gap between Europe and Asia it would be Iranian queer intersectional feminist Soudeh Rad. Sodeh is based in Paris and not only is she fighting for bisexual visibility across both regions, but she’s also the brainchild of the app Hamdam, that empowers Iranian women to know their legal rights and reproductive health. She has just been named on the ILGA Europe Board and definitely one to watch, I told her to get (the) RAHM (contest)* next year! She’d be a wonderful addition. Théo: Washington D.C loses the run and will not host the Gay Games in 2022. Hong-Kong has been preferred to D.C and speculators say that the dislike for Trump was one of the factors of this decision. In your opinion, shall we stop organising international LGBT events in the USA until the end of Trump’s presidency in 2020? Bess: There is no doubt this current Trump presidency is having an impact on how the outside world is viewing the US, but on the other hand just look at the recent historic electoral victories from several transgender candidates. They have sent a strong message that the community are prepared to rise up and create the change they need to see. Whether in the US or regressive countries in Asia, it’s vital that we support our LGBTQI communities on the ground. The public and media spotlight is key to making progress. Not having visibility poses more dangers and makes it too easy for a country not to be held accountable. I would like to think that Washington D.C. losing the bid was less about a dislike for Trump and more because Hong Kong won the bid on their own merit, due to their extraordinary drive and presentation, (which was very much abled by private sector support) and also because they hold the hopes not just of a nation but of a region striving for much needed visibility. Having the Gay Games in Asia in 2022 will be a huge boost and hopefully we will see marriage equality realised in Taiwan before then and possibly 1 or 2 other countries. I look forward to welcome our current and future members of the RAHM Community to Hong-Kong in 2022 or before! Apply now for the next RAHM Contest in London 2018 (english speaking contest) HERE. Bewirb dich für den nächsten RAHM Wettbewerb in Berlin 2018 (german speaking contest) HERE.